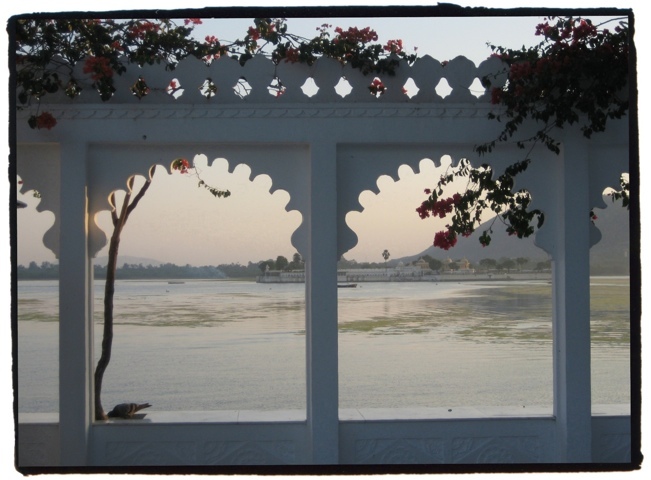 This week’s postcard brings back wonderful memories of Udaipur and our stay at the Lake Palace Hotel. Situated in the middle of Lake Pichola, this hotel has many nooks and crannies where you can sit and enjoy the amazing view. I have also stayed in small hotels on the edge of the lake and the view of the hotel, sitting proudly in the centre, is just as mesmerising. 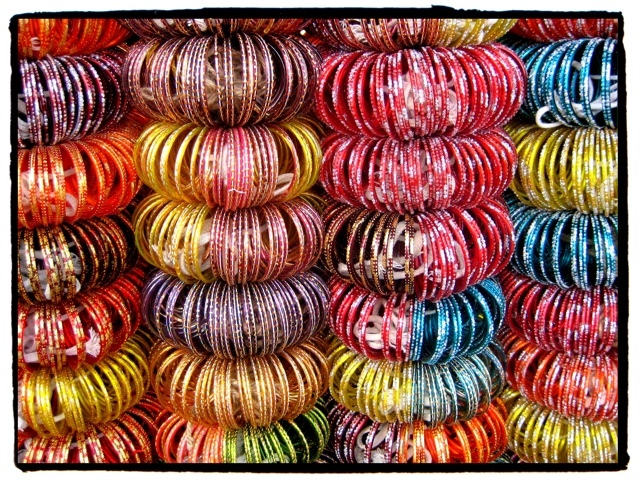 Bangle corner in Jaipur is in one corner of an incredibly busy intersection near Hawal Mahal (Palace of the Wind). Above the noise of honking horns and screeching breaks, the women of Jaipur choose bangles to add to the intoxicating sea of colour that is India.